Glycine is a non-essential amino acid and has the simplest structure of all amino acids, allowing it to fit easily within protein chains and make space for structurally larger amino acids. This feature makes it very important for specific bodily functions. Glycine is also a precursor of creatine, which is used to construct DNA and RNA. And it supports glycogen storage, thereby making more glucose available for energy production. The amino acid Glycine is non-chiral and only has one form without a D- or L- designation. As a dietary supplement, take 1/4 level teaspoon mixed in water 1 to 3 times daily. 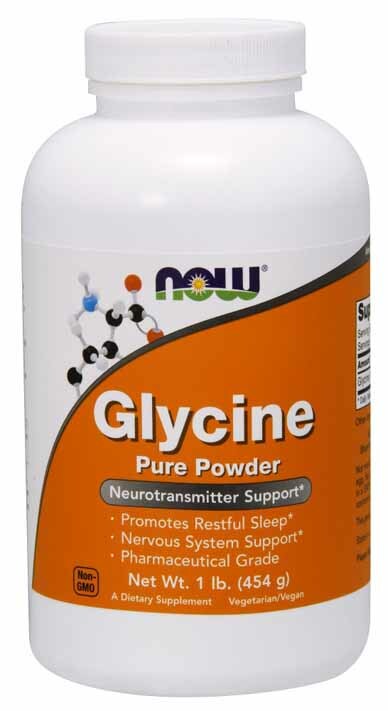 NOW Glycine Powder is Pharmaceutical Grade.